CyanogenMod is undoubtedly the biggest name in custom firmware when it comes to Android these days, and with good reason. With support spanning all the handsets that hackers and enthusiasts are likely to ever want, CyanogenMod is very likely to be available in some shape or form for the device that's currently sat in your pocket. 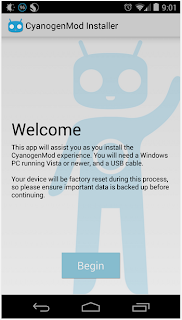 A new CyanogenMod Installer has been released on the Play Store. 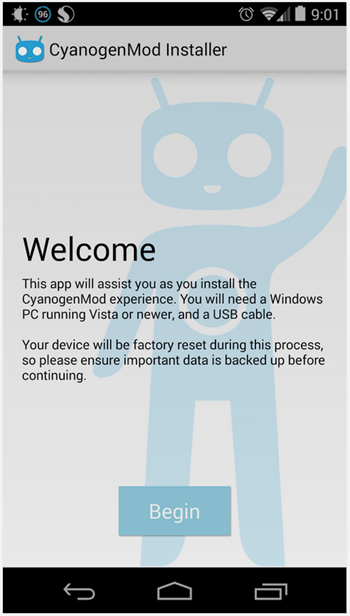 Free, and available to download now, this new app will guide users through the initial setup required to get the CyannogenMod installation underway, and will also point them to a website that will allow the downloading of the correct ROM files for their device. Obviously they'll still need to have a supported device, but it makes the whole process a little more streamlined. Which is nice.